What is Muscle Activation Techniques Therapy? Muscle Activation Techniques (MAT) is a systematic approach to treating muscular imbalances, that will reduce or eliminate pain and fatigue, and speed muscle recovery time. 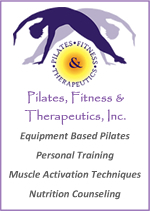 MAT is a non-invasive technique that allows the body to achieve optimal functionality, without pain or injury by increasing the body’s range of motion, restoring muscular alignment, and eliminating compensation patterns. The MAT process utilizes a unique technique for identifying limitations in joint range of motion and correlating them to isolated muscle weakness. This systematic evaluation procedure is followed up with a specific form of therapy which immediately stimulates inactive muscles and increases joint range of motion.